First Time Home Buyers Must Have’s! Make sure your home buying goes as smoothly as possible. According to The J.D. Power 2014 Home Buyer/Seller Satisfaction Study, first-time homebuyers need clear communication and want to be walked through the purchase process every step of the way. The more seamless the experience, the less overwhelmed they’re likely to be. It’s up to the agent to help build your confidence by educating you and working in your best interest. If you’re about to buy a home, you want to be satisfied with your agent, his or her services, and most of all — the home you choose to buy. What can you do to insure a seamless homebuying experience for yourself and your family? Interview several agents before choosing. Get recommendations from friends and relatives who have recently purchased a home. Interview agents who are expert in the neighborhood where you want to live. Make sure they have some skin in the game — a child in school, a long history of working with buyers, and expertise in the neighborhood. For example, The Storck Team specializes AND lives in Southeast Aurora/Parker. Be clear about the services you need. Don’t hire an agent because you like him or her, hire the agent because he or she is the best qualified to meet your needs. If you are buying a condo, get a condominium specialist to show you homes. If you are relocating to a new city, hire a relocation expert who offers additional support and services. Hire an expert in the type of home you want to buy. If you want to buy a condo, make sure your agent knows about the shared community lifestyle and will help you obtain HOA documents and disclosures. If you plan to rent your home one day after you occupy it, make sure your agent understands your plans and can help you choose a home that will be suitable for rental in a few years. Build a team. A full-service real estate agent can help you coordinate other services including introducing you to lenders who specialize in the type of loan you want as well as your price range, title and escrow companies, storage and moving companies, inspectors, insurers, home warranty companies, appraisers, contractors and more. Be patient. Buying a home can take months, and there are many things beyond the agent’s control. Your agent should show you the market conditions so you’ll know how stiff your competition is to buy a home. He or she can give you periodic updates so you’ll know which homes have sold and how the changing market impacts your ability to buy a home. Know the true costs of buying a home. Particularly for first-time buyers, it’s important to know all the costs associated with your transaction. Ask your agent to explain all the costs you need to understand, from mortgage interest rates, to HOA annual fees, to how much it will cost you in property taxes, utilities and maintenance. It’s not enough to know how much your monthly payments will be; you need to know how much it will cost you to operate the home every month. Buy within your means. Don’t let your agent show you homes outside of your means or try to talk you into stretching to get into a more expensive home. You can’t go wrong buying a home you can afford. You can always trade up later to a larger home if you need one. 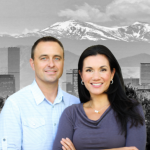 Tatyana Sturm and The Storck Team have been working with First Time Home Buyers in the Denver Real Estate Market for 10 years and have helped hundreds of people make their dream of home-ownership a reality. Buying your first home can be the most exciting, and daunting experience of your life. To set yourself ahead of the competition when making the purchase of a lifetime, make certain you have a professional and competent them in your corner like The Storck Team! 1. They’re unprepared to compete against all-cash offers. Buyers need to be ready to make a quick decision if they’re housing market is heating up. Buying a home is “really like finding a job – it’s going to take a lot of time to prepare,” says Cara Pierce, a certified housing counselor with ClearPoint Credit Counseling Solutions. “That way, when the deal comes along, you’re ready to pounce on it.” Housing experts say buyers should have already saved as much as possible for a downpayment, repaired any credit report blemishes, and gotten preapproved for a loan as they start their house hunt to put them in a better position to compete. 2. They place a car ahead of the home. Lenders are going to scrutinize applicants’ debt-to-income ratio when assessing how well they can afford a mortgage payment. Consumers’ debt has gone on average from $40,000 in 2010 to $51,000 today, according to David Norris, president and COO of loanDepot, a non-bank mortgage lender. “It would be much easier to own a home if you can show a history of saving and not have gotten yourself into too much debt,” Norris told CNBC. 4. They bank too much on online home values. Some real estate websites are giving buyers a false sense of home values, the CNBC article notes. “If a buyer believes that the actual value of the property is $1.1 million [as listed online] when it’s really $1.3 million, it’s a real disservice to the client,” says John Barrentine, co-founder and CEO of RED Real Estate Group. “You really should [spend time] with someone that understands the market, someone who’s there day in and day out.” Home buyers can get the best feel of the market by working with a real estate agent and driving around neighborhoods and get a sense of things about homes that may be less valuable or even more valuable than perceived online. 5. They forgo the home inspection. About 10 percent of homes recently purchased weren’t inspected by a home inspector, according to Bill Loden, president of the American Society of Home Inspectors. Some buyers were trying to cut down on the costs of hiring an inspector to investigate a home – which usually averages about $450 — but defects uncovered later could potentially result in the loss of thousands of dollars. “It takes a trained eye to be able to see the problems that can exist in a home,” Loden said. “The inspection can also give the first-time buyer a bit of a schooling on the house and how to maintain it.” Buyers should also be prepared to ask questions about conditions that are common to specific areas, such as radon in Midwest; sewers in California; and active clay soils in Dallas that can lead to foundation issues, the CNBC article notes. The home may require additional inspection from a specialist to rule out potential problems. Here is a great step by step instruction of where a First Time Home Buyer should get started. Being a first time home buyer in this crazy market can be extremely daunting. Enlist the help of your mortgage broker, your Realtor, and your accountant. Above all else RESEARCH, RESEARCH, RESEARCH. The Storck Team has helped many First Time Home Buyer‘s dreams come true in Aurora, Centennial, and Parker. Call on The Storck Team to get started today! Click here for your 11 steps.